The foundation built during puppyhood will help shape your adult dog’s personality and temperament, improve your bond, and prevent behavioral issues before they ever begin. We developed Houston’s first, extensive, puppy-focused training programs in 2010 under the guidance of our mentor, Dr. Ian Dunbar, who revolutionized dog training when he designed the world's very first off-leash puppy class. It is our mission to educate new puppy owners and local veterinarians on the importance of early puppy training. When should you begin socializing and training your puppy? Read the AVSAB position statement on puppy socialization in its entirety HERE. 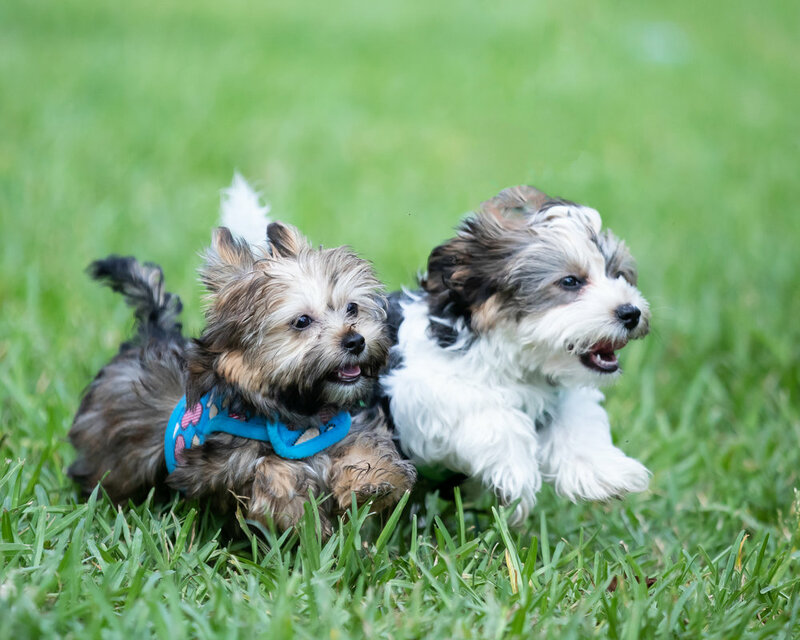 As Houston’s original puppy experts, we offer a specialized Puppy Day School. This program is an elite, comprehensive private school, created to take advantage of your puppy’s most crucial imprinting and learning period. Our Puppy Day School is an all day, drop off training program developed for puppies from 8 weeks to 6 months old. Your puppy will spend the whole day with our trained puppy experts, learning, socializing, and playing! This is not a doggy daycare, but rather, a very structured environment with a custom curriculum created especially for each puppy. Our Puppy Day School program is very popular and space is extremely limited. The program is training intensive and we keep a very small ratio of 4 puppies per trainer! If you are interested in a package, we recommend scheduling your private lesson before your puppy comes home. If you already have your puppy and interested in a package, please do not delay! This option is recommended for puppies who are not enrolling in a Puppy Day School Package and prefer to purchase Single Puppy Day School Passes. A new puppy is a wonderful adventure but can also be quite a challenge! It requires time, consistency, and education. We can help guide you through The Puppy Challenge with our comprehensive Puppy Class Bundle. Please note: Private lessons that are purchased in conjunction with the Puppy Class Bundle must be scheduled before the puppy turns 6 months old!